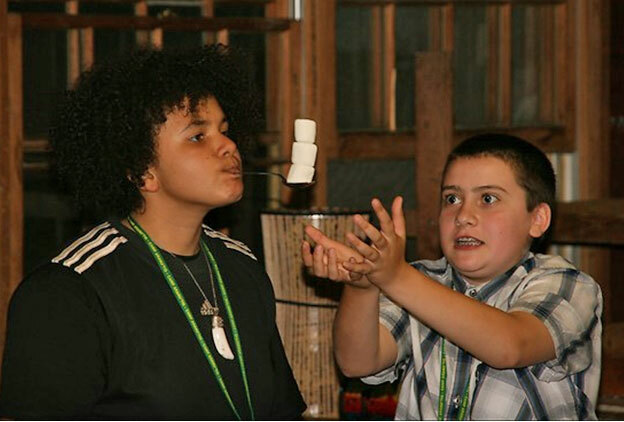 Oh yeah, balance those marshmallows! Camp Aranu'tiq is a summer camp for transgender children 8-15. They have camps on both coasts: Southern New England and Southern California. This camp addresses such a special need that is becoming incredibly popular. Amazingly, they are serving twice as many kids this year as they did last year. It's a real testament to the good that is happening there. Camp Aranu'tiq is just a regular summer camp that allows children to be who they are without judgment. It's a very special place that shields the kids from outside scrutiny. My son has been going for the past two years and it is what he looks forward to all year long. He has said that Camp Aranu'tiq his is home; it is where he can be himself and not feel judged. I have come to love the director Nick and his entire staff. Not only for volunteering their time to make this incredible place happen, but in their counseling of my son and all of the kids on how to function in the world while teaching the children to value being themselves. I would recommend this camp for any transgender child who wants to try a real camp experience without any pressure. Nick and team support both the child and your family. For parents, you will see your child experience true freedom - maybe for the first time - and you'll see the same kind of personal growth that comes from any camp experience. Has your child been to Camp Aranu'tiq? Please comment below and let me know your experience.